I'm happy to mention that I'll be covering The Dreaming this Thursday March 5th for Rock Revolt Magazine! Say what? You haven't heard of The Dreaming? Let's rewind to the mid-90s - do you remember Stabbing Westward? Yeah you do... well The Dreaming is fronted by SW front man Christopher Hall. 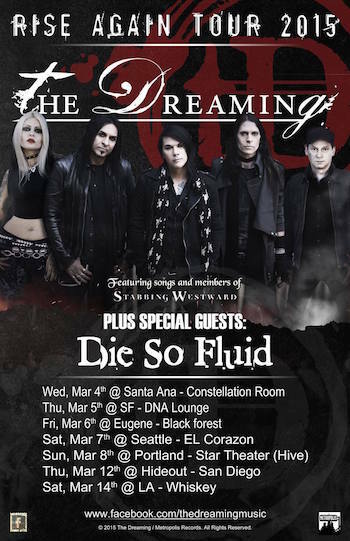 I don't want to compare the two bands but if you liked SW I highly suggest you check out The Dreaming. Stay tuned for photos!